The fuel injector is one of the most underrated components in your car. Responsible for delivering fuel from the tank to the motor, the injectors play a critical role in both the performance and longevity of your engine. To keep your injectors in top shape, it has to be cleaned from time to time. Many would enlist the help of a mechanic to do this, but this is actually one of those jobs that you can do yourself. You can learn how to clean fuel injectors right in your garage. Here is the surprisingly simple step-by-step process. Get a fuel injector cleaner - The first step is to purchase a fuel injector cleaning kit. These kits can be found in auto supply shops and usually cost under a hundred dollars each. While the contents of this kit may vary, it usually includes a container of injector cleaner, a fuel pressure gauge, and a hose. While injector cleaners are designed to work with every kind of car, it won’t hurt to check first your instructional manual to determine what kind of cleaner best fits your car. Locate where your fuel injector is - Different engines have different layouts. Before proceeding with this job, it is important that you know first where your fuel injector is located. A quick search in your instructor’s manual can help you find it. If no information can be obtained from the manual, you can always check online for an answer. Given that the layout for particular motors doesn’t change unless modified, finding the injectors for your engine should be a cinch as soon as you find the right info. Disconnect the fuel pump from the fuel injectors - To clean the injector, you need to remove it from the pump. Once detached, you can either attach the pump to a fuel return line or use a U tube connected to the fuel tank. This will allow fuel contained in the pump to safely return to the tank. Again, I must remind you that when handling fuel, keep any source of fire or sparks away, as it may cause a fire and a major accident. After this step, disconnect the pressure regulator vacuum line. Connect the cleaning kit - Connect the fuel injector cleaning kit to the fuel port. Follow the instructions attached to the kit on how you should install it. Just a note: make sure that there is no trace of fuel in the injectors, as the cleaning fluid may be flammable. Also, make sure to remove the cap of the fuel tank to prevent excessive pressure from building up inside the tank. The cleaning kit works by injecting cleaning fluid under pressure to remove grime and debris built up in your pump. Start the engine - Before starting the engine, check first if the fuel pump is turned off. Also, make sure to check using your cleaning kit’s pressure gauge if the fuel pressure matches the recommended pressure for your engine. Start the engine to allow the cleaning agent to cycle in your injectors. The process of cleaning your injectors should take about 5 to 10 minutes. Eventually, your motor will shut down on its own once all the cleaner is used up. Reassemble your fuel lines - Remove the cleaning kit after cleaning is done. Basically, the steps here is just the reverse of the first steps. Detach the cleaning kit, re-install the fuel pump and pressure regulator vacuum hose, and close the fuel tank. To determine if the injectors are properly installed, start the engine. You will hear abnormal sounds if there’s something wrong with your installation. Also, drive your car a short distance to check if your engine runs as it should, and if there’s improvement after cleaning. Use good-quality fuel - While impurities will clog up your fuel injectors in time, one factor that can accelerate the process is using bad-quality fuel. Some get fuel from stations that offer cheap fuel. The problem is that some of these stations, in order to offer lower prices, skimp on quality. These fuels may not be sufficiently refined, lack detergents, contain additives, and even be watered down. You may save some money by refueling in these stations, but it might cause long-term damage to your engine. Replace your fuel filter on schedule - The fuel filter helps in keeping the fuel entering your engine clean. At some point, the filter becomes ineffective in its role, which means impurities would lodge in your fuel lines instead. To increase the lifespan of your fuel line components, make sure to replace your fuel filter periodically. The recommended mileage for replacement varies from one car to the next, but just to be safe, replace your fuel filter once a year. Consider using injector cleaning detergent - While the fuel you use contains detergents to keep your fuel lines clean, as mentioned earlier, impurities will still end up dirtying your injector. Using injector cleaning fuel additives can possibly help. While they cannot 100% prevent clogging, they can at least slow it down by removing impurities in your fuel lines. You can use these products periodically, but make sure to purchase a product recommended by a certified mechanic. 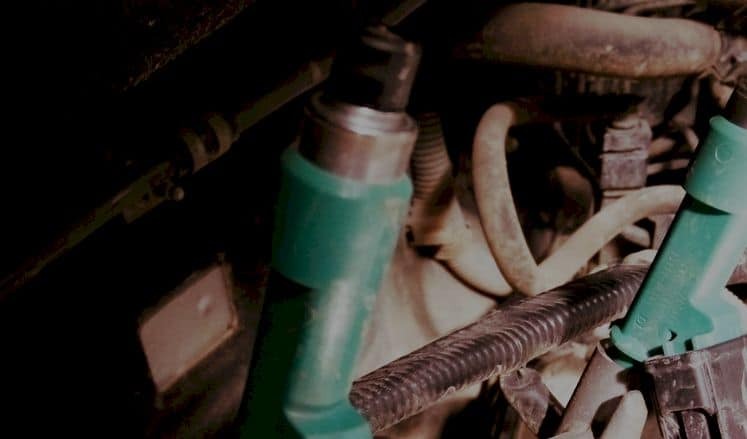 Your injectors might be severely clogged - If there is no improvement in your engine’s performance after cleaning, it is possible that your injectors may be severely clogged. Severe clogging means the cleaner won’t be able to cycle properly in your injectors, leaving it still dirty. If that is the case, you might need to have your injectors replaced. There are other problems in your engine - If your engine’s performance doesn’t improve after cleaning, it is possible that other problems might be causing it. In such cases, it might be best to have your car checked by a mechanic. They have the right skills and tools to diagnose and fix whatever problem your engine might be having. Follow the steps on how to clean fuel injectors as provided in this post. This will help prolong the life of your car.